The Dewalt D24000s Tile Saw combines versatility, craftsmanship, and power into a user-friendly, high performance tile saw that can be used by contractors and homeowners alike. The Dewalt D24000 Tile Saw combines versatility, craftsmanship, and power into a user-friendly, high performance tile saw that can be used by contractors and homeowners alike. Cutting through metal is a simple process if you have the right tool. 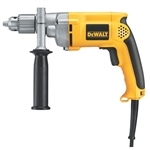 The Dewalt DW130V Spade Handle Drill is perfect for mixing buckets of drywall mud and thinset. Versatile and easy to handle, the DEWALT DW235G 1/2-Inch VSR Drill delivers the power you need for all your home-improvement projects. The Dewalt DW130VBKT Spade Drill Kit with Mixing Pail is perfect for mixing buckets of drywall mud and thinset. 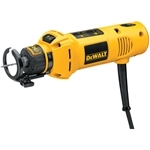 The Dewalt DW660 is the perfect rotary cut out tool ideal for making outlets and other cutouts in tile and drywall. Dewalt DWK331K Variable Speed Jig Saw Kit for cutting the most demanding materials. 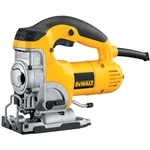 Dewalt D28605 5/16" Variable Speed Fiber Cement Siding Shear.